Though stylish, I can’t say he looks like the most trustworthy son-of-a-gun (in church or in a club). 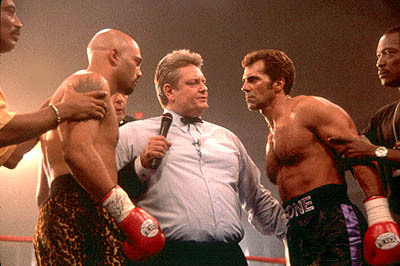 But, oddly enough, I kinda like Carman…sorta. Based on several articles and interviews about him (the best being this recent one in Huffington Post), he does at the very least seem to be a sincere person. He’s currently battling cancer, and during this time he has had a small resurgence of fame thanks to some loyal fans. 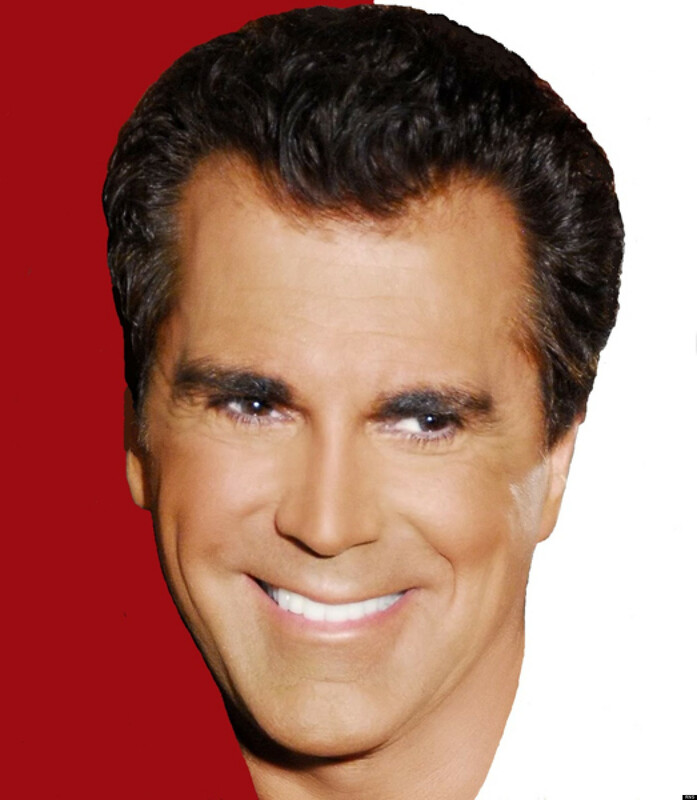 While I’ve never really resonated with Carman’s music or the almost Sunday School-like articulation of his faith, there is something sort of compelling about him. 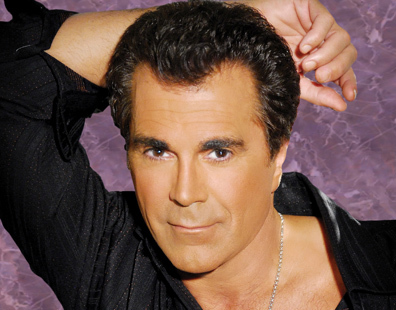 Carman is first-and-foremost an entertainer. And since the very beginning of his career, he has never pulled any stops. His shows have fireworks, props, blasts of fire, boxing matches, magic tricks, you name it. As he once stated, ““I would go to Vegas shows and Broadway and find a lot of magic acts and see what I can put on stage that will blow people’s minds.” When it comes to entertainment, there’s something to be said about having “mind-blowing” goals. That being said, his early 90s video for his song “Satan Bite the Dust” is about as mind-blowing as you get. Several dear friends of mine played it for me about a year ago and, boy, I had no idea to respond. I still don’t. But I will never, ever forget this video. I mean, how could you? It is truly one of its kind. 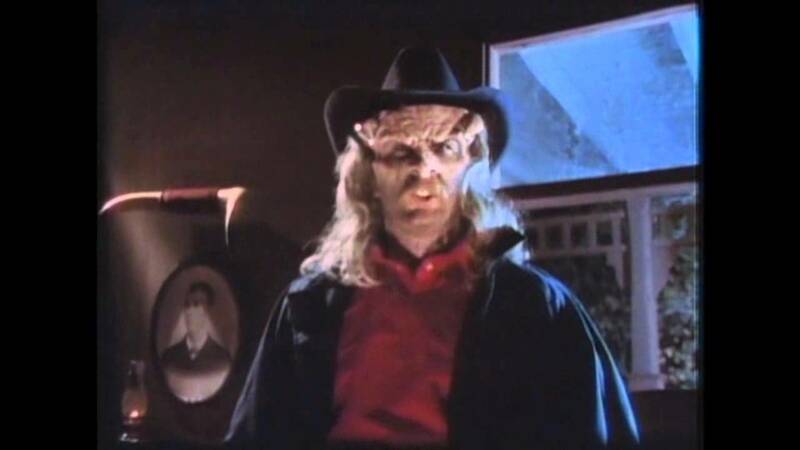 In it, a Cowboy Carmen enters a bar inhabited by demons that look fresh off the set of Troll 2. And then he fearlessly informs them that he’s gonna kill every single one of them. As he sorta sings/raps, “I represent a whole new breed of Christian of today; And I’m authorized and deputized to blow you clean away.” The predictably liberal part of me wants to critique this video for it’s simplistic, ultra-right wing approach to religion. But the much more fun pop-culture, kitchy, camp-lovin’ nerd in me wants to thank the Lord that a video this awesome exists. But it’s really the ending that I find most enthralling. 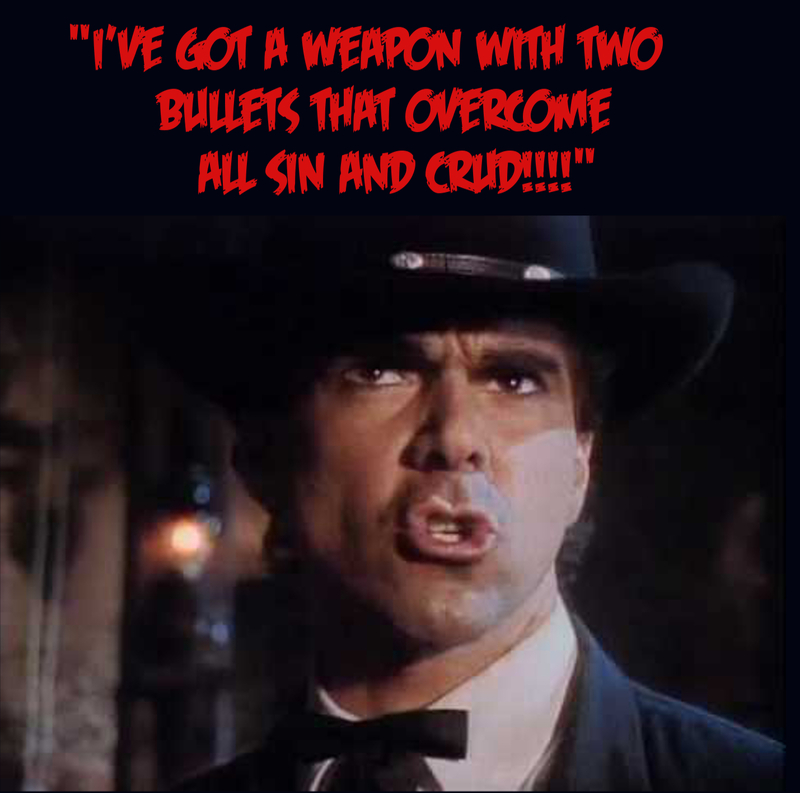 Throughout the video, Carman sings about how much sin and evil and demons piss him off. Then, he solves the problem of evil by shooting Satan in the chest. For good or bad, I’ve never seen anything like it.